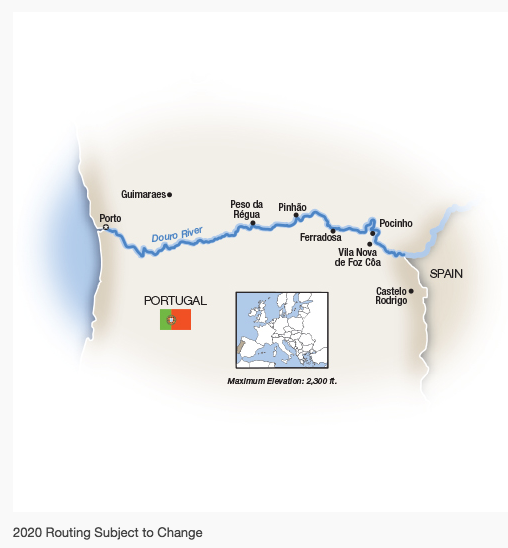 just for the Portugal itineraries. the 12-day 'Exploring the Douro, Plus Lisbon & Madrid. ', combining a 7-night Douro cruise with a two-night, pre-cruise hotel stay in Lisbon and a two-night, post-cruise hotel stay in Madrid, both with included Tauck sightseeing and other activities. purpose-built for exploring Portugal’s Douro River Valley. 'Douro Discovery: A Family River Cruise in Portugal' begins in Lisbon with an included transfer from Lisbon Airport to the Four Seasons Hotel Ritz Lisbon, where families will enjoy a two-night stay as they explore the Portuguese capital on guided excursions. Activities in Lisbon include a tour, reception and welcome dinner inside the 18th-century National Palace of Queluz, a tram ride through the bohemian Bairro Alto enclave and a guided walking tour of the city's Alfama neighborhood. Guests will also enjoy free time for independent exploration, and a guided visit to Portugal's National Maritime Museum. The following day, families will enjoy a walking tour of the medieval city of Coimbra before traveling to Porto to embark the ms Andorinha. The ensuing five-night Douro cruise will be highlighted by guided sightseeing in Porto, a visit to the Museo do Douro in Peso da Régua, and a walking tour in the village of Pinhao. Guests will also have a choice of a hike through hilltop vineyards in Pinhao or a kayaking excursion on the Douro. Guests will also enjoy a choice of activities the following day, when they can discover the medieval city of Guimaraes, or participate in a cycling excursion that concludes in the picturesque town of Amarante. 'Douro Discovery: A Family River Cruise in Portugal' is the sixth river cruise included in the Tauck Bridges collection of journeys designed specifically for families. Tauck's cruise-only itinerary 'Villages & Vintages: Cruising the Douro River Valley begins with a choice of walking tours in Porto exploring either the town’s historic center or its Ribeira riverfront district. Subsequent days are highlighted by a private dinner with wine pairings at the family-run wine estate Quinta do Portal, an exploration of the medieval town of Guimaraes, and a visit to a port wine 'cave' in Vila Nova de Gaia for a tour and tasting. Other days offer a choice of excursions, including either a visit to Museo do Douro in Peso da Régua or a port cocktail-making workshop, and either a visit to the medieval hilltop village of Castelo Rodrigo or a tour of the Museu do Côa to explore the region's Paleolithic history. Additional choices on other days include a walking tour of Pinhao or a hike among hilltop vineyards, and a visit to 18th-century Mateus Palace in Vila Real or a cycling excursion through the Vinho Verde wine region. Tauck's third new Douro itinerary, the 12-day 'Exploring the Douro, Plus Lisbon & Madrid' begins with two nights at the InterContinental in Lisbon, a tour and welcome dinner at the National Palace of Queluz, and city sightseeing that showcases the world renowned carriage collection at the National Coach Museum. Guests will also explore Coimbra on a walking tour before arriving in Porto for embarkation aboard the ms Andorinha and a full day of sightseeing in the city the following day. Highlights along the Douro include visits to the historic town of Guimaraes and a quinta (wine-growing estate) in a Vinho Verde vineyard, a guided bicycle ride in Peso da Régua, a visit to the 12th-century Monastery of St. John, and a guided tour of the Douro Museum. 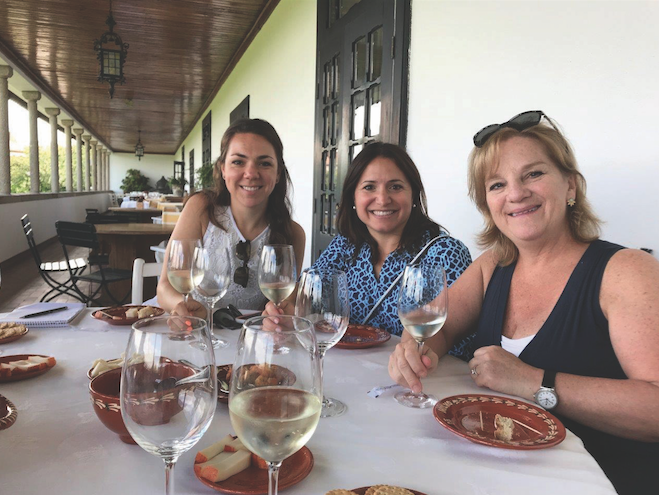 Guests will also have their choice of a guided tour of 18th-century Casa de Mateus, or a guided walk through vineyards to a port cocktail-making class. A true culinary highlight of the cruise is a special dinner at the restaurant DOC that will reveal the gourmet cuisine of acclaimed chef Rui Paula. After disembarking, guests will enjoy a walking tour of Salamanca before continuing on to Madrid for a two-night stay at The Westin Palace, where a full day of city sightseeing is highlighted by a visit to the Royal Palace, the official residence of the Spanish royal family. 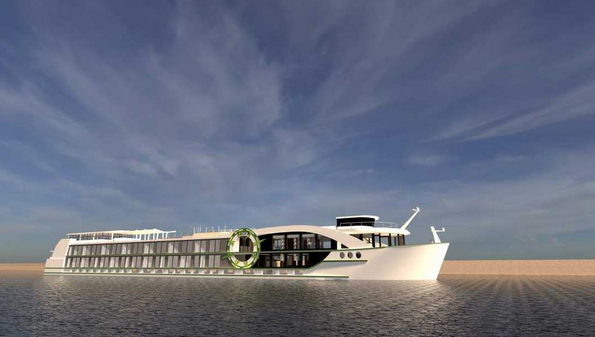 Purpose-built for cruising to historic quintas and picturesque villages along Portugal’s golden Douro River from coastal Porto to the Spanish border, our newly constructed, 80-meter (263-foot) custom Douro riverboat debuts in 2020 with spacious accommodations for just 84 guests, featuring 12 300-sq.-ft. Tauck Suites among her five cabin categories. Guest amenities inside her lush 300-square-foot, Category 5 Tauck Suites include brocade upholstery, roomy walk-in closets with built-in drawers, spacious bathrooms with separate showers, and two French balconies with floor-to-ceiling windows that open to the idyllic riverscapes of Portugal's golden Douro River Valley – a UNESCO World Heritage Site, and one of the oldest wine-producing regions in the world. She also sports 20 roomy 225-square-foot cabins in Categories 3 and 4, and six 200-square-foot Category 2 cabins, similarly furnished. Four 150-square-foot Category 1 cabins are cozy and comfortable, and are similar in décor and style to our larger suites. Most have floor-to-ceiling windows with real French balconies that open on to a balcony in the fresh air; all have in-room movies, minibar, adjustable heating and cooling, private bathroom and shower with pampering toiletries. In addition to our main dining room, The Compass Rose, the ship also features Arthur's, a second dining venue offering casual fare. We couldn’t find just the right words to describe the sumptuous bedding and amenities we custom ordered for your in-cabin cruising comfort... 400-thread-count satin bed linens made from the finest combed cotton... puffy white duvets and pillows of very fine mako cotton, with a 90% down filling... 100% cotton blankets, temperature balancing and so soft to the skin... and thick pillow-top mattresses that lull you to sleep... along with the Essentials Line of Molton Brown bath products, exclusive to Tauck... absorbent terry cloth robes and fluffy towels... hair dryers... but we do know they are key for waking up refreshed and relaxed for your traveling pleasure. As an added service, Tauck can make flight arrangements for your journey, if your travels originates in the United States, offering you a number of welcome advantages. What's more, if you purchase Tauck's Guest Protection, you'll receive a refund should you need to cancel your flights due to covered reasons. Another great reason to buy your air through Tauck! When you cruise with us, virtually every river cruise expense is included in one upfront price… including all shore excursions and unlimited complimentary beverages onboard. There are no little extras to pay for, no hidden expenses, no options sold. You get what you pay for… and then some. Our all-inclusive river cruises feature personalized cruising enhanced by those 'little Tauck touches.' Luxurious cabins and suites… service rivaling that of a premium hotel… fine European-style shipboard dining, with a choice of dining venues… all the little touches. Our intimate, sophisticated atmosphere onboard and the uncommon access to exclusive cultural experiences on our included excursions ashore, ensuring experiences as memorable as the places you visit... not simply what other travelers see and do. We have the highest tour director-to-guest ratio in the industry so onboard and ashore, service is attentive and personal. We also feature special Solo Traveler Savings on all of our river cruises; have a special program for group travel and are the only river cruise line with dedicated multigenerational family cruises. We invite you to explore our cruises and find the one that’s perfect for you… and discover river cruises that go beyond the ordinary.